Did You KNOW Regular Massages Can Help Prevent Colds And The Flu? Ok did you know that you can take precautions to prevent yourself from getting sick??? If you do certain things taking necessary steps you will save yourself alot of Kleenex and headaches. Step 1 ... sleep more! If you get seven to eight hours of sleep a night you will be less likely to catch anything! If you sleep less your more prone to pick up colds and viruses. Step 2 .... Get More Frequent Massages! Many studies prove that regular massages are the key to more healthier and productive you! 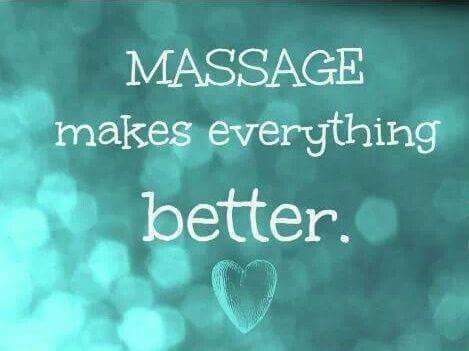 When your body is more relaxed through massages it has a significantly improved immune system. It has the ability to fight off bacteria and infection. So this means when your body is relaxed , the "NK Cells " numbers .... the body's killer cells are DEFINITELY increased. In return you are less likely to catch a cold or viruses period!